The Great Wall of China, one of the Seven modern wonders of the world, and one of the greatest technological achievements in all of mankind.. 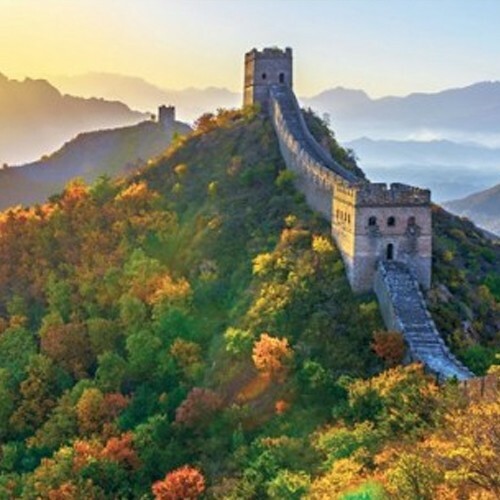 The Great Wall of China, one of the Seven modern wonders of the world, and one of the greatest technological achievements in all of mankind, has long held the imagination of writers, scientists, soldiers, and now of course, travelers and adventurers. Within its countless bricks and watchtowers lies the boundless spirit of 2000 years’ worth of Chinese civilization. This challenge is physically demanding but offers fabulous, never ending scenery and a fascinating insight into a rich culture and history. Day 1: Fly for London Heathrow to Beijing. Day 2: Transfer to the hotel and have a full day to relax and sightsee Beijing. There will be a briefing by the guides in the evening. In the early morning your guide and driver will pick you up from your hotel. From there we will be driven to the Badaling Great Wall. The ruined Badaling Great Wall (now officially named “Ancient Badaling Great Wall”) is 10km south west ofthe restored Badaling Great Wall. So, as its name hints, this section of the Great Wall is partially restored and more adventurous, while not being easy to climb. 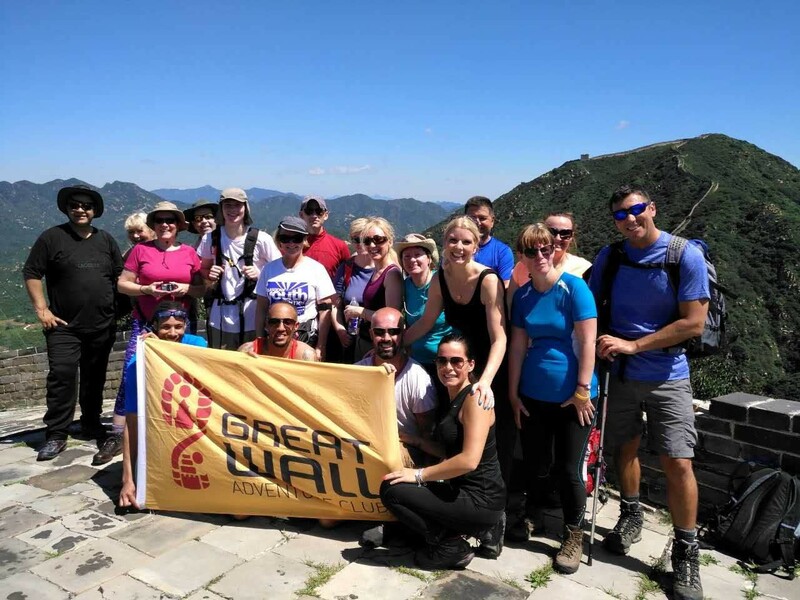 Itshikers are mainly foreign travelers instead of domestic travellers, who prefer hiking at the restored Badaling Great Wall. After about 2-3 hours of hiking, we’ll cross over into Shixiaguan (Stone Gorge) Pass, 5kmsouthwest of the Badaling section of the Great Wall. It is one of the most intact parts of thewhole Great Wall. In spite of serious damage, the winding wall set in the lofty mountains reveals its grandeur. However, a castle in Shixiaguan was pulled down during the Great Leap Forward. Nevertheless, the wall remains relatively intact because of its strategiclocation. Shixiaguan Pass was originally built in the reign of Ming Emperor Wanli (about Great Wall of China Expedition 20181600 AD), which was then a key pass guarded by a large number of soldiers. There are sites such as official residences, the ancient castle, clay walls and brick walls in the village. After our hike we will drive to the village of Huanghuacheng for overnight accommodation. Our trek continues from Huanhuacheng to Xishuiyu. 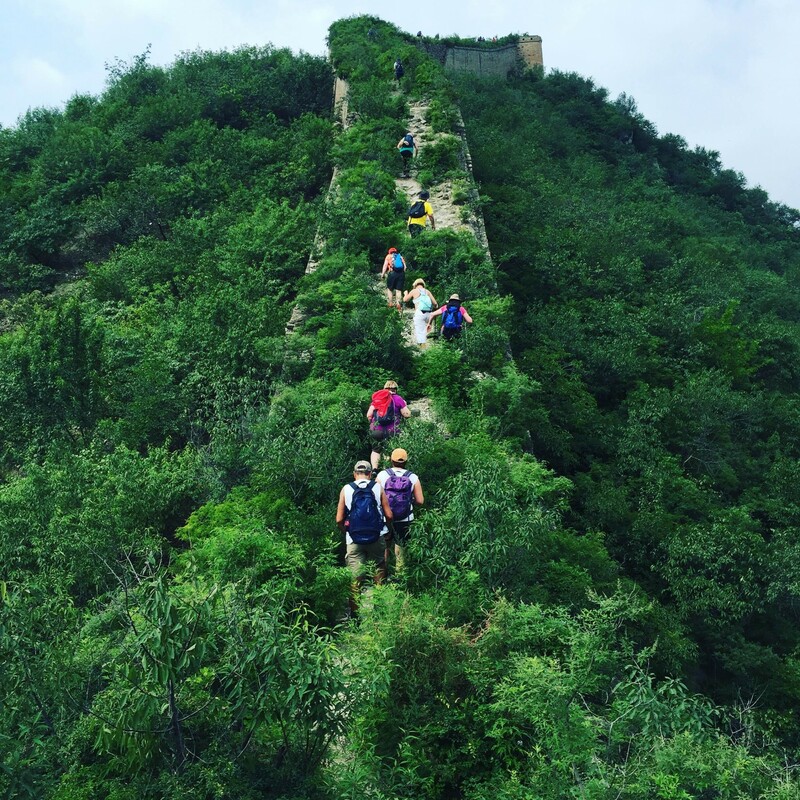 Huanghuacheng is fast becoming popular with hikers and tourists who are looking for something a little different in their Great Wall experience.The wall here is a combination of both restored and unrestored areas, giving your hike a little more variety and adventure. When you reach the middle of the wall you will be able to see that the countryside is swathed in yellow, as masses of wild flowers come into bloom. We will then cross overo nto the Xishuiyu section.Today’s hike is quite special-part of the wall is under water! In 1974 China built theXishuiyu Reservoir, and when the water level rose, some low-lying sections of the wal lwere submerged under water. Seen from the dam of the reservoir, this stately sunken wallis still visible under the water’s smooth and glimmering surface. Following our hike we willdrive back to our inn in Huanghuacheng village for the night. After waking up in the morning we will begin our drive to the JiankouGreat Wall, which should take around 3 hours or so. In order to hike on Jiankou, first we have to climb up a path for about 60 minutes to reach it. Our hike will today will take about4 hours and will cover 10km/ 6 miles. Jiankou is translated as 'Arrow Nock' in English, for the shape of the mountain is like an arrow, with the collapsed ridge opening as its arrownock. The Jiankou section is known for its ruggedness and wild beauty, and you will be in awe of the marvellous views it affords. As soon as we reach Jiankou we will see a deserted watchtower that gives you a panoramic view of the entire valley. In the early morning the view is priceless with its morning fog. This section of the wall is not well known by tourists, although if you see a picture of the Great Wall from exotic traveling magazines, chances are it is from Jiankou. 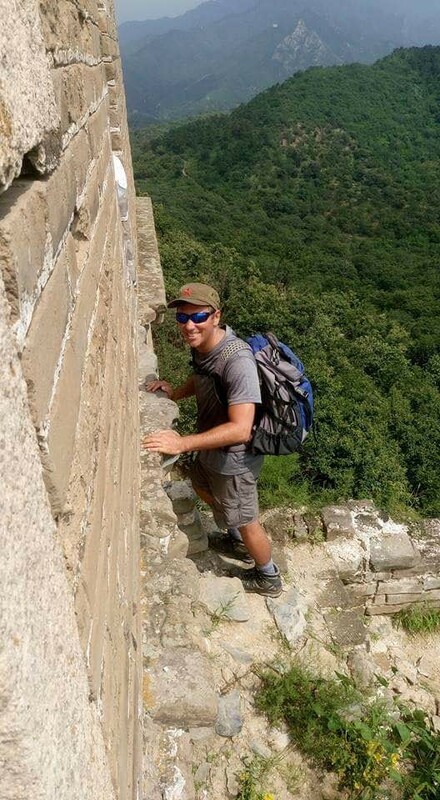 This is the pinnacle of exotic Great Wall scenery.This part of the wall is often empty, so you will have some peace and serenity on your hike today. Another highlight of Jiankou is the enemy observation tower known as, "Ying FeiDao Yang", so named because this watch tower was erected on the highest peak in the area, and eagles and hawks often perch on it. Although the majestic wall is slowly being conquered by small trees and brambles, but the view from the top is still stunning! Following our hike of Jiankou we will scale down the wall where we will spend the night ata farmer’s inn. The farmer’s family will prepare for you a dinner of traditional Chinese dishes. Today we scale the mountain to reach the Jiankou Great Wall. After hiking for about 2-3hours we will cross over onto Mutianyu, a section of the wall that has been largely restored. Although it has a face-lift, it avoids the army of tourists that plague Badaling.Mutianyu offers some breath-taking views of the valley and wall below, and if you look to your right you’ll see a large sign engraved in the side of the mountain encouraging you to “Cherish the teachings of Chairman Mao”. You can either hike, take a cable car or a toboggan ride (highly recommended, and lots offun!) down to meet our driver. We will then drive to Gubeikou Great Wall to spend the nightand sleep in Gubeikou Village. This will offer you a chance to experience the true lives ofChinese farmers. You'll have the chance to learn Chinese traditional paper-cutting and make your own dumplings. 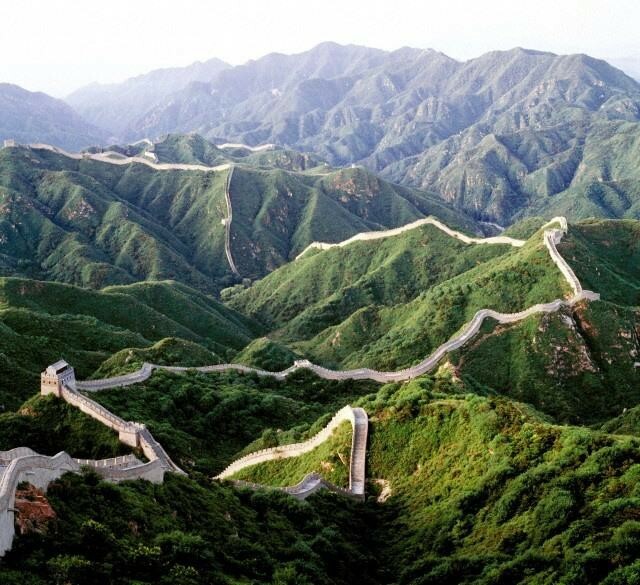 Gubeikou Great Wall occupies a strategically important location, whichis difficult to access. Situated between Shanhaiguan Pass and Juyongguan Pass, and about 62 miles to Beijing, it is the bastion protecting the northern gateway to the capital. There are 14 beacon towers, 143 watchtowers, 16 strategic pass, three citadels and many other military constructions. Many of them are famous cultural relics, such as the Big Flower Beacon Tower of theNorthern Qi Dynasty, Fairy Tower,General Tower, and the dominant Wangjing Tower.After walking on Gubeikou we wil lcross over to Jinshanling. 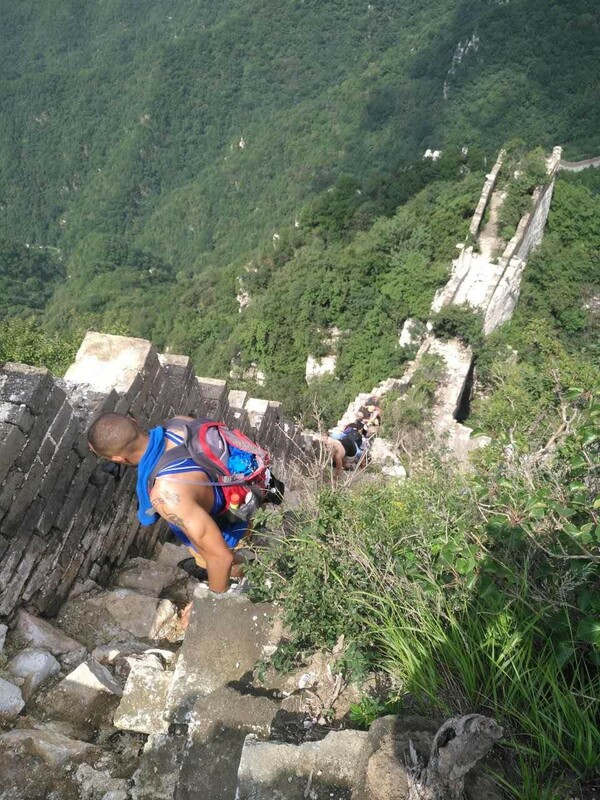 Much of the hiking that we will do on Jinshanling today is relatively easy, as much of thewall here is restored and the surface smooth. Jinshanling has five mainpasses and 67 watchtowers. Following our day of hiking on the Great Wall we'll take you to have a gorgeous Chinese countryside-style dinner at Mr. Duan's Restaurant. Mr.Duan is a famous Great Wall photographer and is the winner of several national photographing competitions. His wife and her niece will cook traditional Chinese dishes and dumpling for you. Mrs. Duan will serve you Kong Pao Chicken,Stewed beef and potato, Green Pepper and Pork, Fried Tofu in Spicy Sauce, Fried EggTomato, Sweet and Sour Chicken, and lots of vegetables (great for vegetarians), and soup. She changes her menu daily, so you may have different dishes from the above. What's more important is that all the vegetables she uses are planted in her yard, so it is organic and fresh! Rice and Chinese dumpling are also fresh and of genuine localflavour. Beer and other drinks are free! Before it gets dark, we'll set up our tents and other equipment in a watch tower. We'll prepare the necessary camping facilities such as sleeping bags so you don't have to bring anything but yourself. If you prefer sleeping in a local hostel or a farmer's house, you certainly can without extra charge. The first thing we'll do today is to watch the magnificent sunrise early in the morning. After a hearty breakfast we will resume our hike on Jinshanling's right wing, where we will hike until we reach Simatai West (aka Second Valley.) As we head west the wall will start to gradually deteriorate, making the hike progressively more challenging, but also interesting to observe and compare. As there are relatively fewer tourists at the Second Valley part of the Jinshanling Great Wall, it is a good place to explore on foot. If you are looking for breathtaking views with a relatively peaceful walk, then the Second Valley of Jinshanling can't be better, so we hope that you remembered to bring your camera! The Second Valley features a complicated and well preserved fortification system at Jinshanling. The Second Valley Great Wall meanders through fantastic natural scenery and connects to the Gubeikou Great Wall to the west.In addition to the gorgeous scenery on your hike, you'll also get to see how the wall was designed for practical purposes, that being the defence against outer enemies and how the Great Wall was supposed to keep them out. There are 'obstacle-walls' built perpendicular to the parapets - a feature quite unique to the Second Valley part of Jinshanling Great Wall. These 'walls-within-walls' were used for defence against enemies who might have succeeded in scaling the outer wall. The steps of the Great Wall at Second Valley are rather steep and rocky with loose stones at times. It is important to choose comfortable foot wear with a good grip and support for the feet. After about 2-3 hours of hiking on Second Valley, we’ll again meet up with our van and you’ll be taken back to Beijing, where you will be dropped off at your hotel. Day 10: Breakfast and transfer to the airport for a return flight back to London. Day 11: Land in the UKFoodDuring the hotel stay breakfast is included giving the option to explore the city and not betied in to dinner in a set placer. During the trek we provide breakfast, lunch and dinner. The food is excellent, plentiful and varied and prepared to a very high standard. We catervery well for vegetarians and for all special dietary requirements. The cost of the trip is £2,450 per person. There is a £250 trip deposit per person (non-refundable) to book your place and the remaining balance can be paid in small instalments as follows. The trip is organised by ‘The British Expedition Company’.